Low variance slots tend to be the domain of newer casino players who aren’t yet immune to frequent wins, but even experienced players need a break from the cruel clutches of high variance slots from time to time. Whatever the case may be, low variance slots have their place in online gambling and those are what we’ll be discussing today. There is no official definition for low variance slots, but generally they are games that provide frequent, smaller payouts compared to medium or high variance slots. Low variance slots fall more on the instant gratification side of the spectrum and keep things interesting with frequent payouts and features. These are the types of slots to play if you hate going through long stretches of winning absolutely nothing while spinning the reels. Neither format is inherently better than the other. Assuming two slots have the same return-to-player percentage, your win rate over the long run will be the same at both. What’s different is how you experience that win rate. Whereas low variance slots are defined by frequent smaller rewards over time, high variance slots will test your patience between bigger wins. 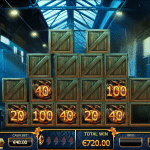 There are specific circumstances in which low variance slots are the better option. If you are clearing a bonus or are working with a limited bankroll, low variance is better. Lower variance equal lower volatility, which means your swings in either direction are not as severe. Lower swings result in a lower risk of ruin. Even if a low and a high variance slot have an identical return-to-player, the high variance slot is more likely to bankrupt an undersized bankroll due to those bigger swings. 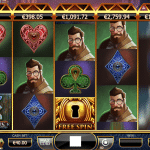 Thus, the wise course of action when clearing a bonus or playing on a limited bankroll is to minimize variance in order to keep you in the game longer, which in turn will provide you with more opportunities to spin the reels and hit a larger payout. Besides, it’s not like low variance slots never provide large payouts. They more certainly do offer large prizes. 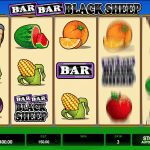 It’s just that the biggest jackpots are even harder to come by in low variance slots because you are rewarded more frequently with smaller payouts. Quick Tip: PlayOJO.com has a handy search tool that allows you to filter slots based on volatility. You can access it by first visiting the PlayOJO website then clicking on “games” and then “advanced search” at the top of the screen. Doing so will open a filter and search tool that you can use to narrow down the list of games based on multiple factors. Click on “slots play” and then “volatility level” and you can filter slots by five volatility levels ranging from low to high. Note: It looks like PlayOJO has most slots categorized correctly, but I did notice they have Immortal Romance classified as a low volatility game. I think it was just an honest mistake because Immortal Romance is one of the most famous high variance slots of all time, but PlayOJO seems to have the rest of the games classified correctly. Identifying low variance slots is kind of a tough task because this information is not usually printed on the face of the machine for all to see. I have often seen people suggest that you just play the slot for yourself and make an educated guess as to the volatility, but that cannot be a reliable approach due to the sample size. You can also just do your research online and see what other people have reported. 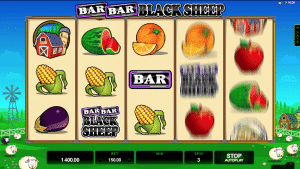 Some of the most popular slots have been reviewed by users thousands of times and once you get the large a segment of the public weighing in, the resulting assessment on volatility tends to be fairly spot-on. So for this list of low volatility slots, I combined two approaches. The first was the look up other peoples’ opinions on websites and in discussion forums. Then, I used that as a base to do further research. I found that some slots providers and casino sites actually publish volatility information online. If you can ever get volatility information straight from the source, that is by far the best way to go. As I mentioned in our high variance article, modern slots are complex and involve quite a bit of math. Trying to guess at the variance of such a machine is difficult work. That’s not to mention that sometimes random chance can make a high variance slot look low variance (and vice versa), which will throw you off if you’re trying to guess at the variance just by playing. 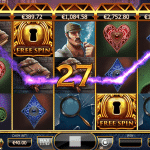 So, the following slots were all mentioned by other people online as being low variance, but I also checked with the manufacturers or major online casinos to confirm that conclusion. I am confident that these are all low variance slots. 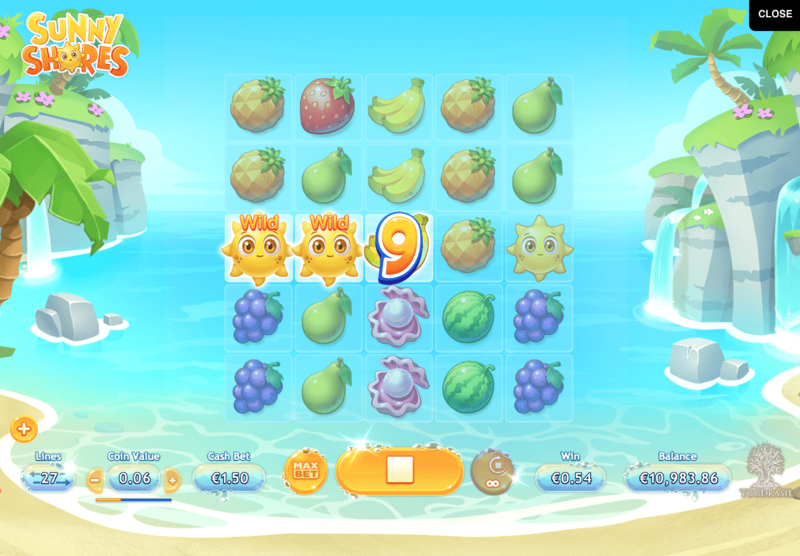 Sunny Shores is a fun and lighthearted game from Yggdrasil that combines simple but crisp graphics with fast gameplay to offer players an engaging but low-stress experience. The low volatile nature of this game meshes well with the tropical theme on display. 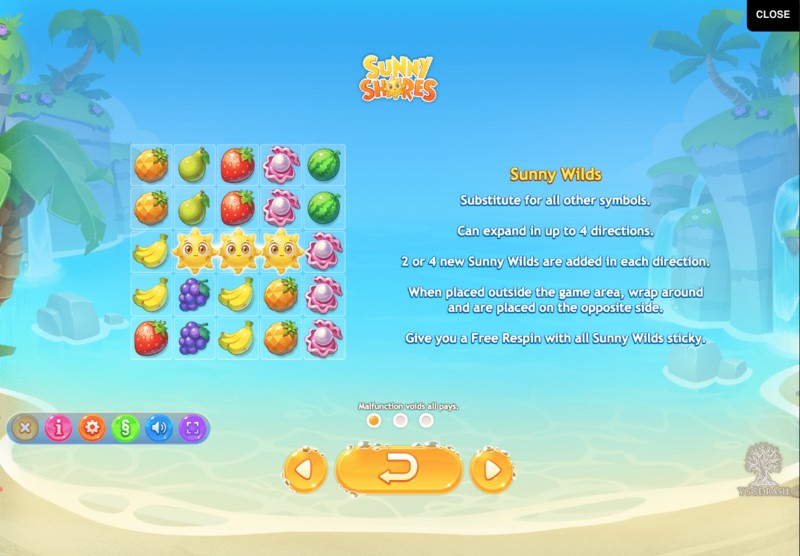 Sunny Shores is all about relaxing without a care in the world – just like a day at the beach. The main symbol you’re looking for whenever you spin the reels is the Sunny Wild symbol. It can expand up to two positions in every direction and trigger sticky wild re-spins. And if any of your Sunny Wilds expand outside the reels, they wrap around to the other side so you don’t miss a thing. Sunny Shores has quickly become one of my favourite low volatility slots because it provides frequent wins yet still has a large maximum jackpot. That’s one of the things that always bugs me when I play low variance slots online. I hate missing out on the opportunity to win something big. This game offers the best of both worlds. 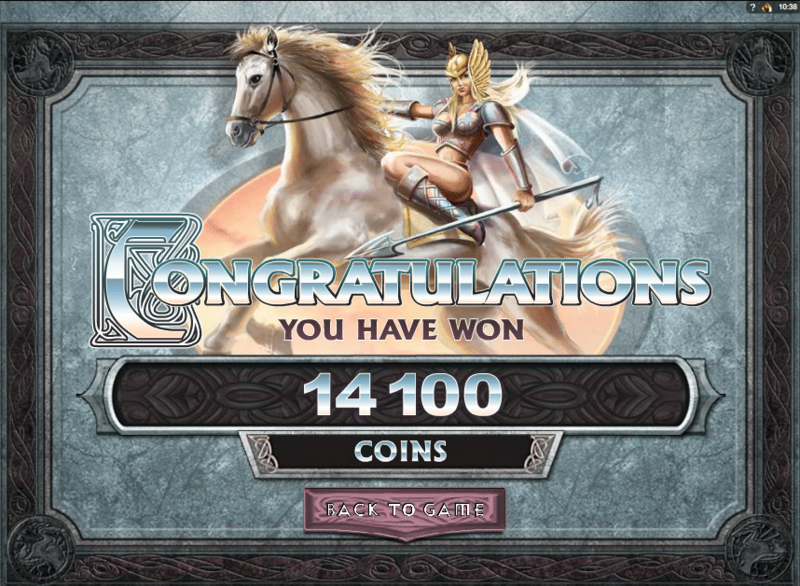 Well of Wonders is a sleek game from Thunderkick with a hit frequency (any win) of 37.7%. This means you can expect to win something more than a third of the time. This is about as low-volatility as it gets in online gambling. In addition to a high hit rate, Well of Wonders is just a good looking game. The graphics and overall theme blend together to create an environment that is magical, whimsical and just a little mysterious. It feels like a fitting theme for a slot machine. 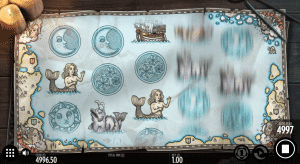 Well of Wonders plays a bit differently than your typical slot. 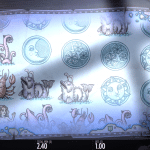 Rather than traditional spinning reels, the game shoots new symbols out of the well in the middle of the screen. Matching symbols trigger payouts and are removed from the symbols area. Whenever symbols are removed, new symbols are ejected from the well in a re-spin feature. 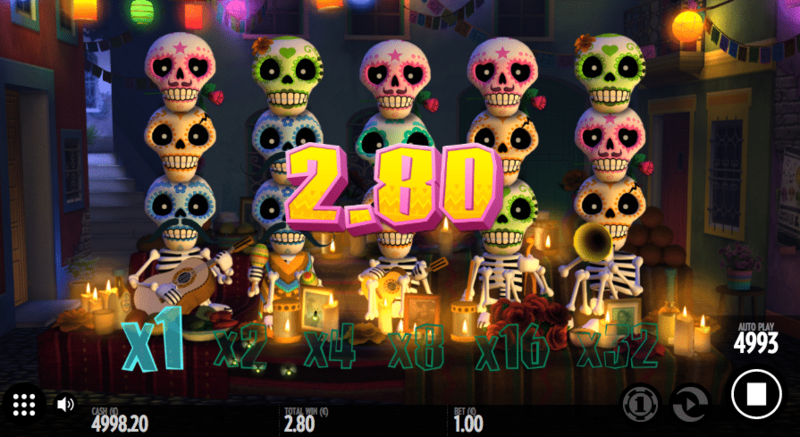 Payouts double for each re-spin feature up to a maximum multiplier of 32x. A helpful fairy also appears from time to time. If the fairy shows up and there is no win, the fairy removes all non-wild symbols and a re-spin is triggered. 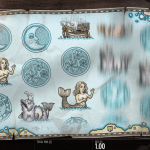 Well of Wonders is a bit short on features, but frequent re-spins and the fairy can trigger cascading wins with payouts that grow in size quickly. 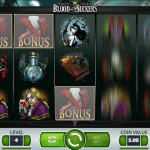 Blood Suckers is a classic NetEnt title that is recommended by many websites as the game to play when clearing bonuses due to the game’s high return-to-player (a whopping 98%) and low volatility. When you combine low variance with a high RTP, you get a game that you can play to churn through lots of bets with less risk. The play of the game is fairly straightforward. 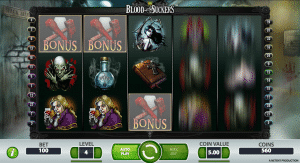 As you spin the reels and line up vampire-themed symbols, payouts are awarded across the 25 paylines. 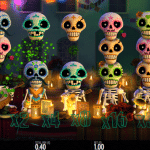 Five wild symbols will trigger the max payout of 7500 coins while 3 or more bonus symbols will send you to a bonus game in which you open coffins and stab vampires with a wooden stake. 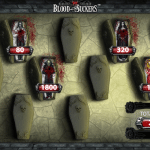 In the vampire-slaying bonus game, you select coffins to open. 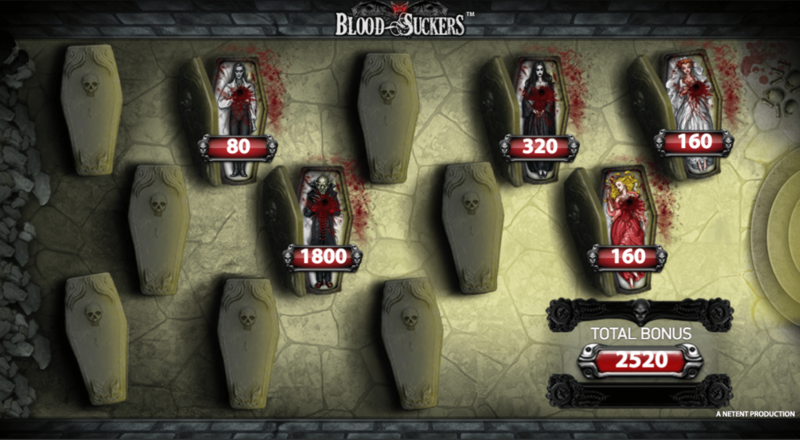 Each time you open a coffin and a vampire is revealed, you earn a bonus payout. You get to continue opening coffins and earning bonuses until you reveal an empty coffin to end the bonus round. 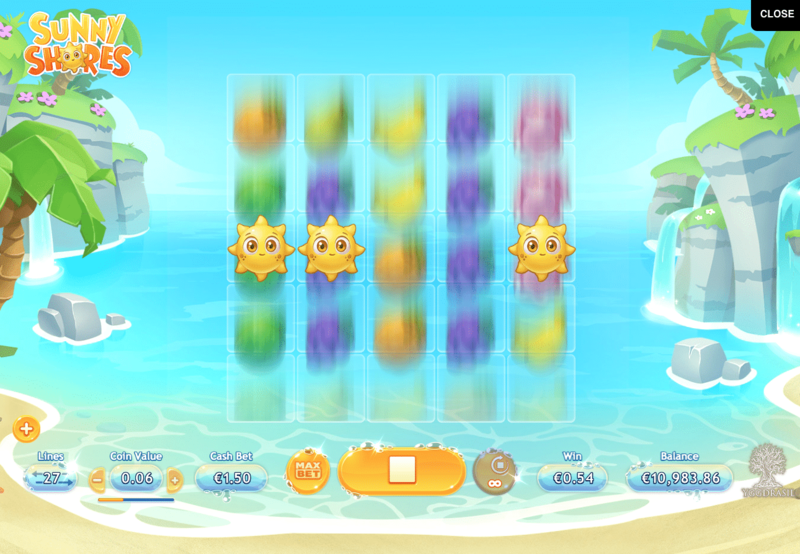 Scatter symbols serve as both multipliers and free spin symbols. 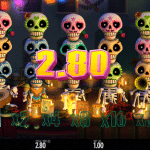 Two scatters give you a 2x multiplier while three scatters give you a 4x multiplier plus 10 free spins. 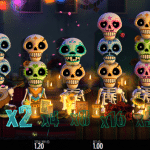 Four scatters give you a 25x multiplier plus 10 free spins and five scatters give you a 100x multiplier plus 10 free spins. 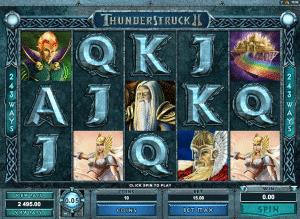 The Thunderstruck series from Microgaming has been a favourite of gamblers for going on fifteen years now. The original was released in 2004 and that one too remains a popular game tot his day. 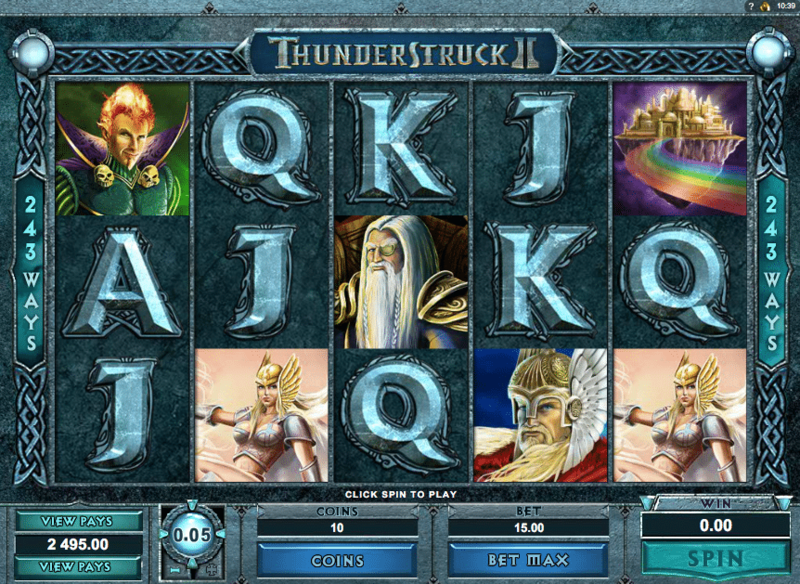 Whereas the original Thunderstruck was a fairly high-volatile game, the sequel came out as a more forgiving, low-to-medium volatility game. This one was released without a hard volatility rating from the publisher, but numerous player reports over the years have pegged this one as a lower or medium volatility slot. In either case, Thunderstruck 2 is definitely less volatile than the original based on both player accounts and a look at the pay table. 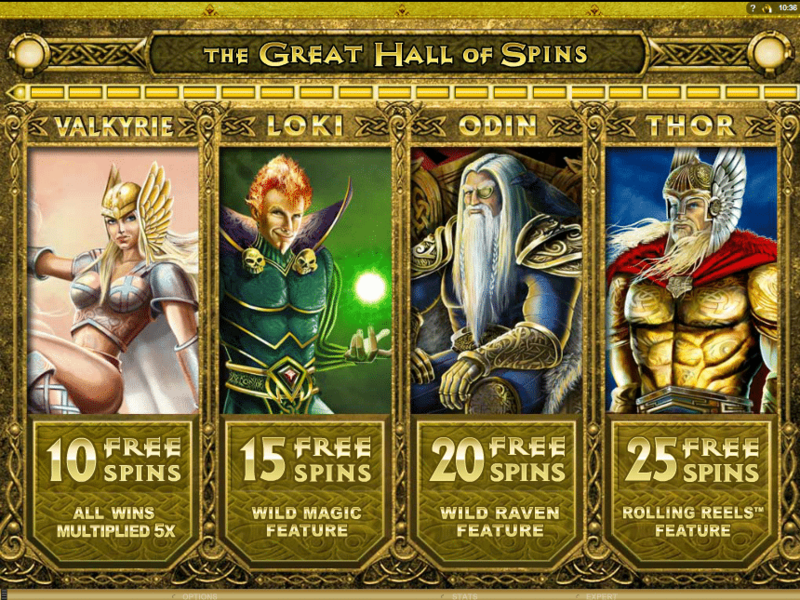 Getting three or more bonus hammers activates the Great Hall of Spins bonus game. 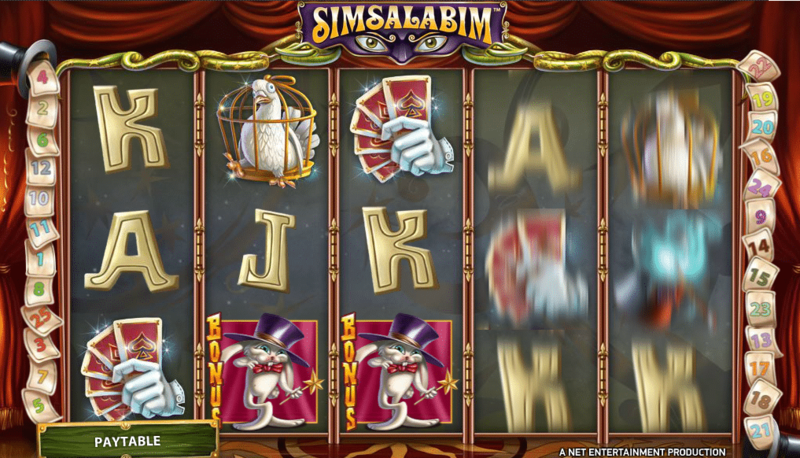 What is typically a low-variance slot game suddenly becomes a high-paying slot as you choose between one of four bonus features: 10 free spins + all wins multiple 5x, 15 free spins + wild magic feature, 20 free spins + wild raven feature or 25 free spins + rolling reels feature. 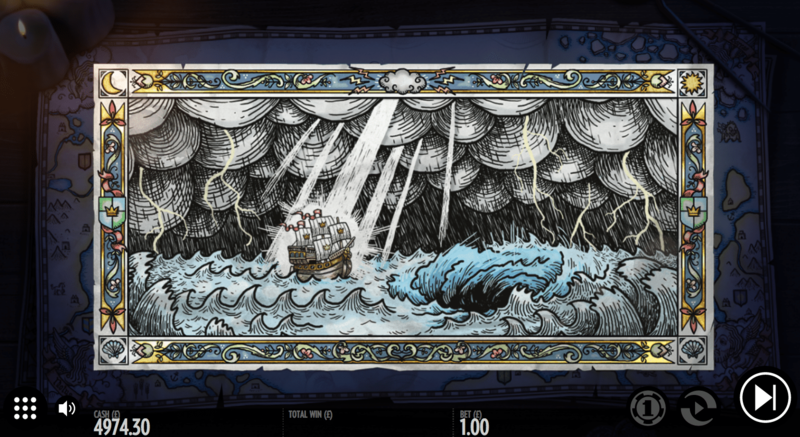 1429 Uncharted Seas is a highly underrated low variance game that offers the best of two worlds for anyone clearing a bonus or simply looking to extend a limited bankroll: low variance and a high payout percentage (98.5% RTP). I don’t think I have seen any other websites recommend this slow for low variance gaming, but it is definitely worth a look. Not only does 1429 fit our criteria perfectly, but it is also a great-looking and well-designed game. 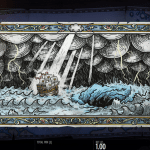 A high seas theme with crisp graphics and slot reels that look like an actual parchment map combine with fast gameplay to make the game look nice and perform like a real slot. 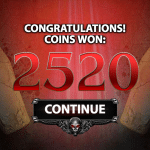 One of my biggest annoyances with online slots is that often times, the better the graphics, the slower the game. That is not the case for Uncharted Seas. 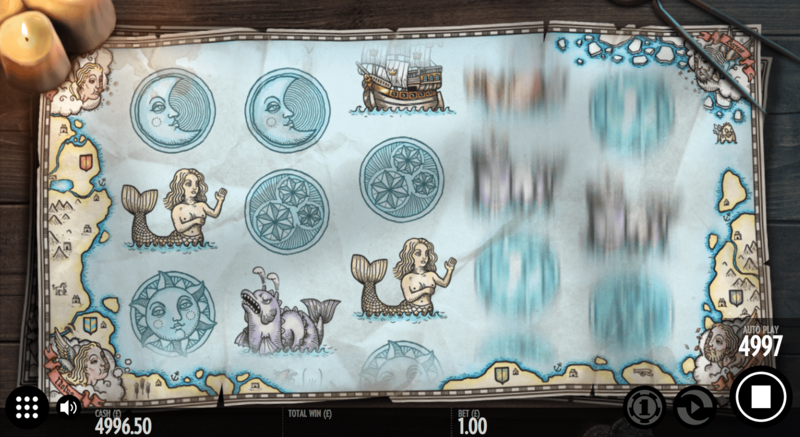 Uncharted Seas is a fairly straightforward game without a ton of crazy features. 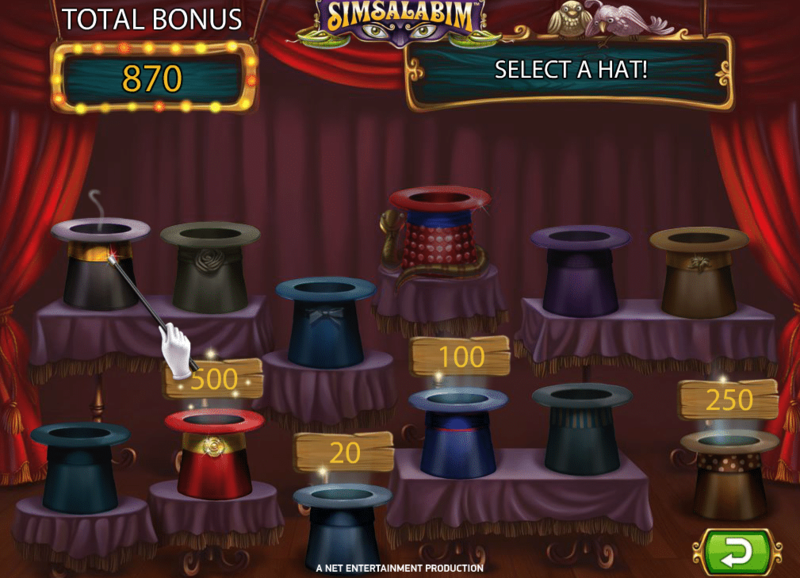 You spin the reels, earn prizes and sometimes benefit from an expanding reel. 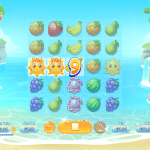 The bonus game is activated by landing 3 or more bonus symbols. 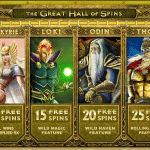 Three bonus symbols result in 10 free spins, four bonus symbols result in 20 free spins and five bonus symbols result in 50 free spins. The last time I played Uncharted Seas, it sometimes gave me a sense that it was more in the medium range of volatility. However, random chance is a funny thing and even the lowest of low variance slots will give you bad runs sometimes. The slots producer itself rates this game as low volatility here. 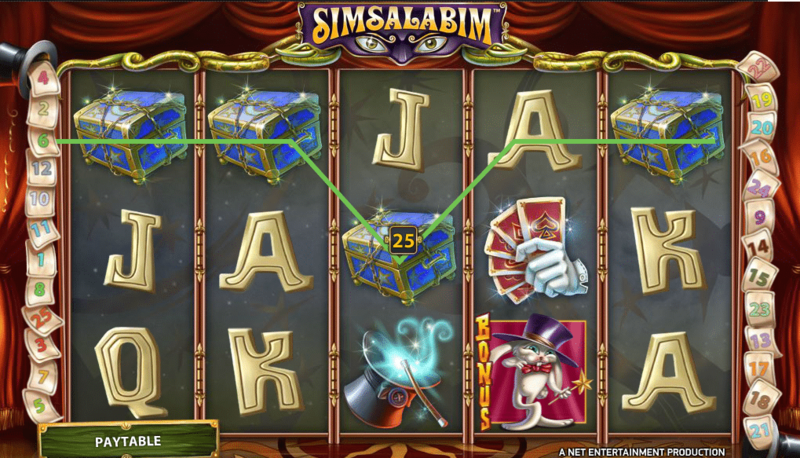 Simsalabim is a magic-themed slot that works well for bonus clearing due to a high return-to-player and low volatility. 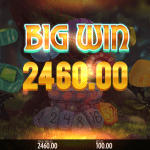 This game can also produce some sizable jackpots so you don’t have completely give up on big wins even as you experience the lower volatility this game provides. There are two major features that you’re looking for in this game for large wins. 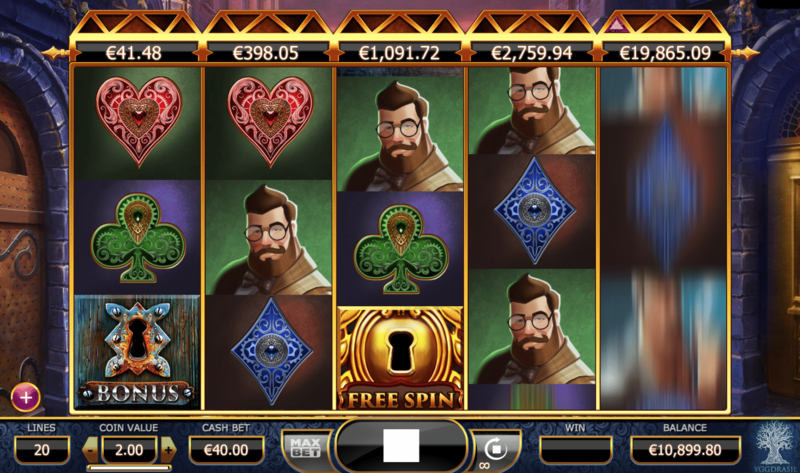 If you land three or more scatter symbols anywhere on the reels, you’ll enter free spin mode and receive a 3x multiplier on all winnings achieved with free spins. 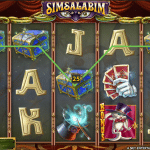 Three scatter symbols pay 4 coins + 10 free spins, four scatter symbols pay 25 coins + 20 free spins and four scatter symbols pay 200 coins + 30 free spins. 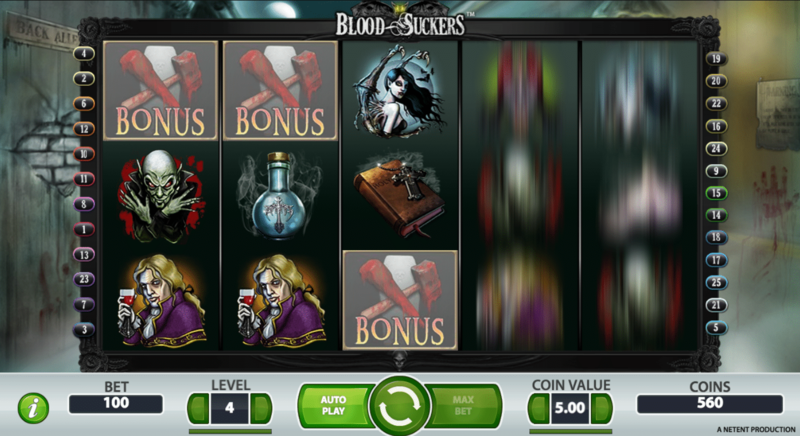 The other feature with a potential for big payouts is the bonus game. 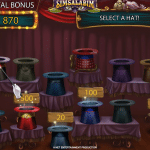 Three or more bonus symbols on a single payline will send you to a bonus game in which you touch a magic wand to magician hats in order to conjure up payouts from thin air. Esqueleto Explosivo is a fun Thunderkick production that takes its inspiration from mariachi bands and Mexico’s Day of the Dead holiday. What seems like a morbid display of decorated skulls and death is actually a celebration of life itself. 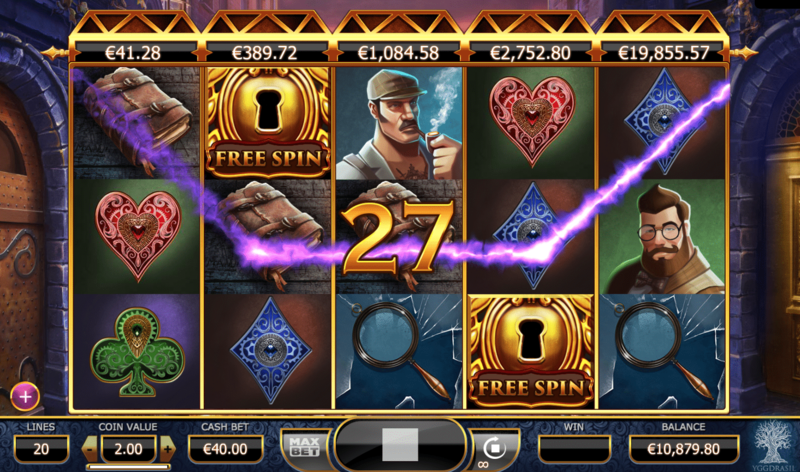 Esqueleto Explosivo may give you something else to celebrate as well with a maximum payout of €70,000. This is one of my favourite games on the list because it plays fast and the exploding re-spins make it feel like a high variance game once it gets going. 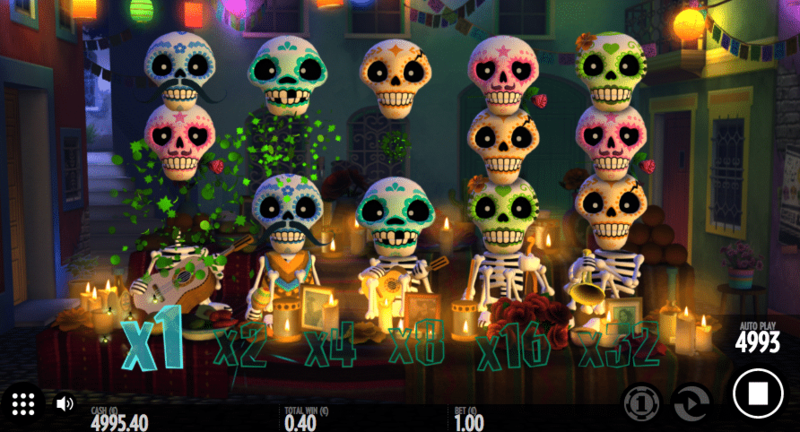 Every time you spin the reels (which really aren’t reels – the skulls just drop in from the top of the screen) and get a winning combination, those skulls explode and are replaced automatically with even more skulls. A single spin of the reels can set off a chain reaction of exploding skulls, more skulls falling from above and setting off more explosions and so on. That’s how the re-spin feature works. And every time you trigger such a chain reaction, the win multiplier advances from 1x to 2x, 4x, 8x, 16x and 32x. 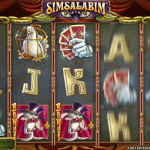 Fun graphics and funny sound effects combined with the exploding symbols make this a slot that engages all senses. The RTP is just average at 96%, but it’s a fun slot that really gives you a sense of reward every time you spin the reels. 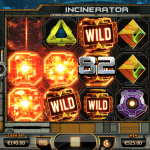 A futuristic theme, chain reactions and lots of wild symbols are the defining features of Yggdrasil’s Incinerator. 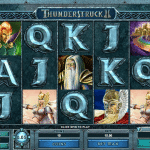 This slot may seem a little underwhelming at first with its simplistic theme and limited features, but you will quickly see why this game is so engaging once you get into your groove and begin hitting chain reactions. 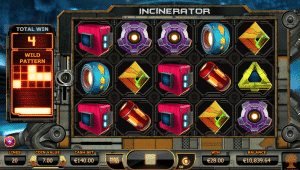 Just like Esqueleto Explosivo, Incinerator’s symbols fall from the top and explode every time a winning combination is landed. The exploded symbols are removed from the reels and new symbols fall down in their place. If the replacements land in winning combinations, those symbols are also removed and the process continues as you rack up the wins. 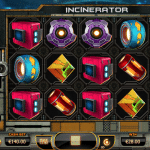 The feature that triggers the biggest wins in Incinerator is activated whenever you cause a cascade involving three or more winning combinations in a row. When that happens, the bonus pattern displayed on the left side of the screen becomes activate on your reels and every symbol there is replaced with a wild. 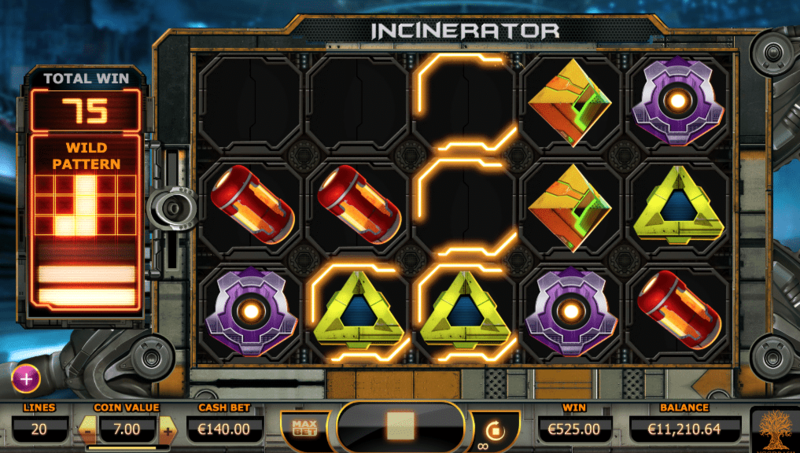 Incinerator is a fast and straightforward game that can help you clear bonuses in no time flat. The variance is definitely on the lower side, but it is not as low as some of the other games on this list. 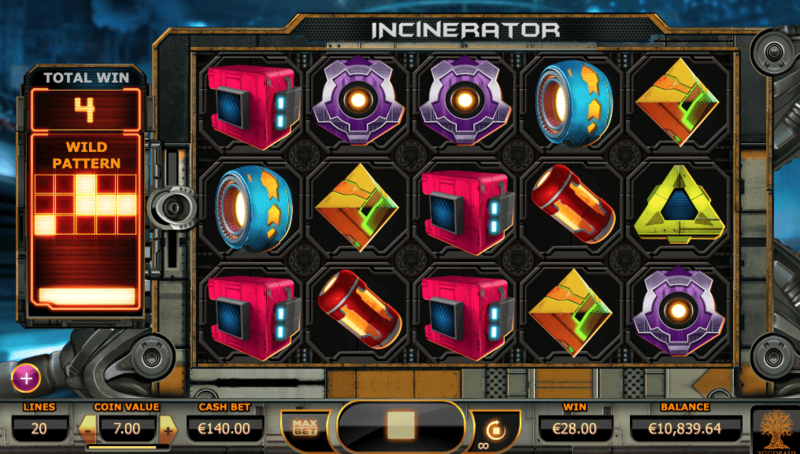 Whether you’re working off a bonus or just playing for fun, Incinerator is a game in which you need to pay attention because it moves very quickly. 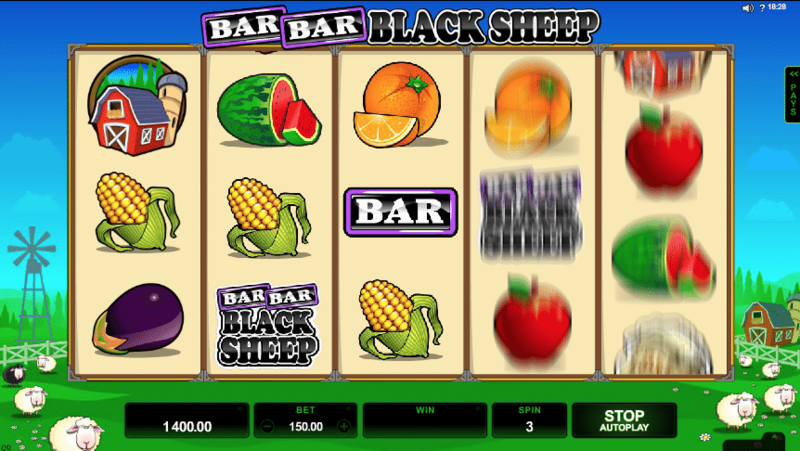 To clear up any confusion, the 5-reel version of Bar Bar Black Sheep was released in 2016 as a remake of an older, 3-reel version produced by Microgaming. 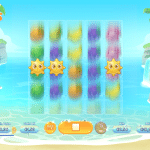 The new version comes with more bells and whistles, but is still a simple game by modern standards. 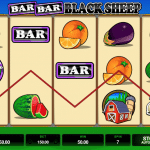 Bar Bar Black Sheep is definitely a throwback to a past age in online slots. 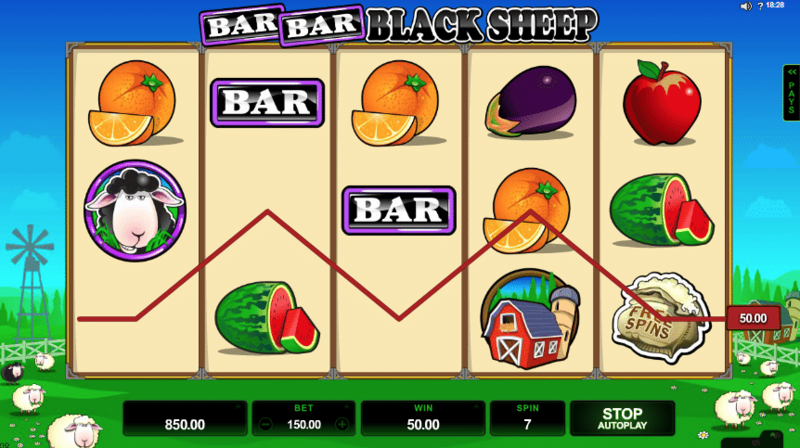 Bar Bar Black Sheep looks and plays like a low variance slot. 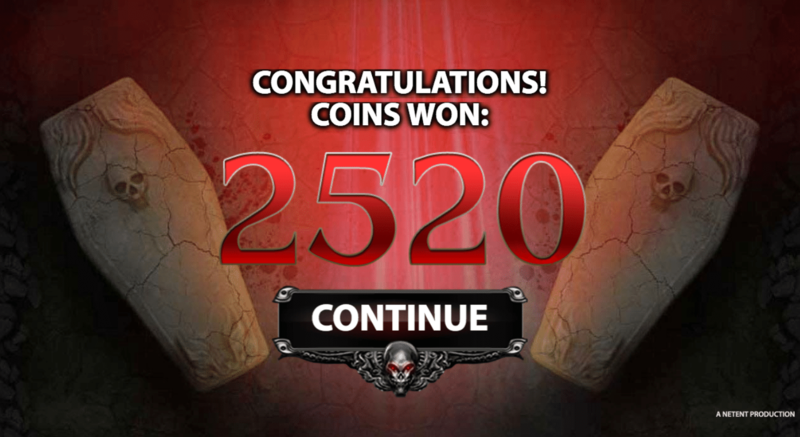 In playing, you receive frequent wins and can trigger bonus features on a somewhat regular basis. A quick look at the pay table will also confirm that there are lot of small payouts and only two really big ways to hit it big. 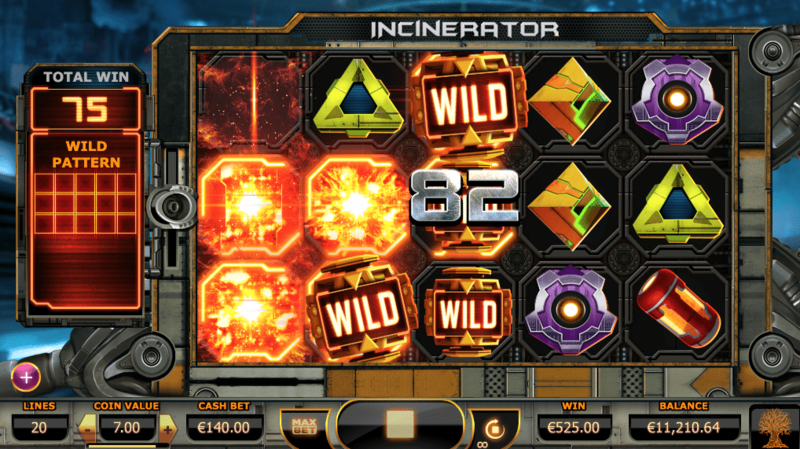 The two features to look for as you play are the wilds and free spins scatter symbols. 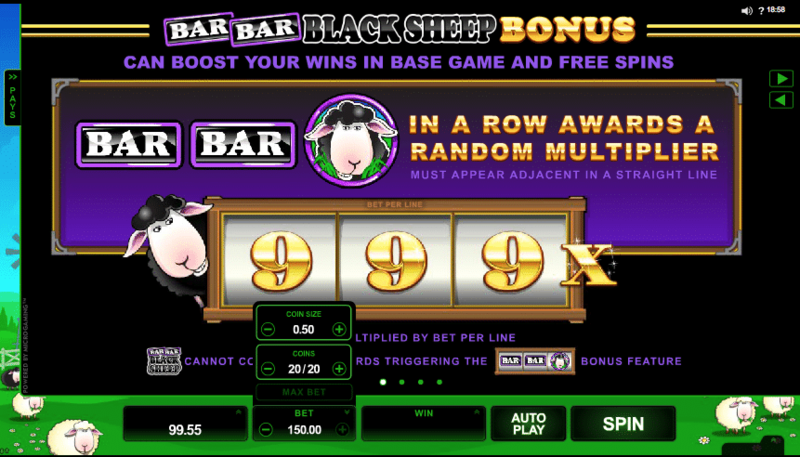 A wilds multiplier is activated when you get two BAR symbols followed by the black sheep (hence the name). 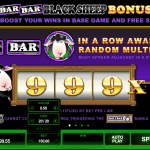 This delivers an instant random multiplier of up to 999x your line bet. 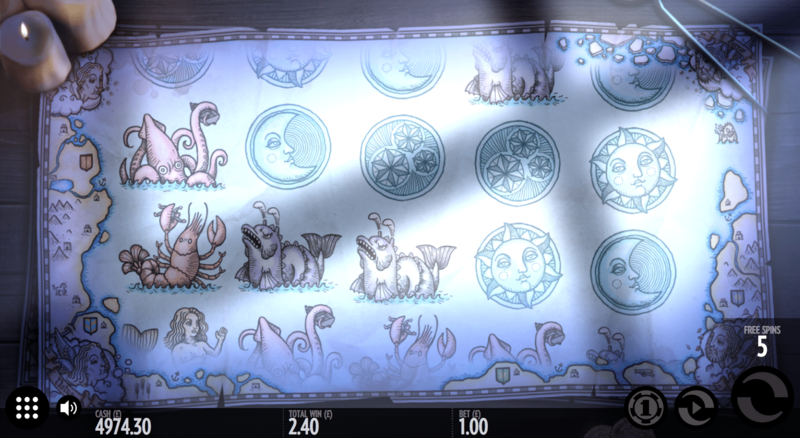 Wild symbols substitute for everything except scatter symbols but also offer high payouts when you catch multiple wilds. Two, three, four or five wild symbols in a payline offer increasingly valuable payouts while scatter symbols also do the same. 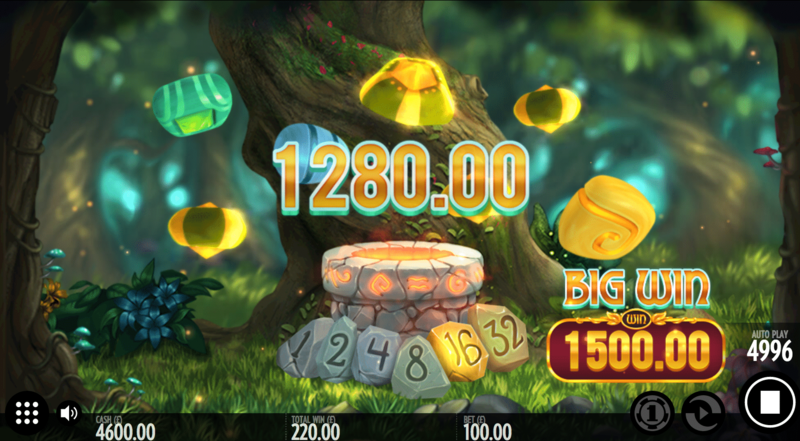 Scatter symbols are especially nice to see because in additional to their own payouts, they trigger 10, 15 or 20 free spins during which all winnings are multiplied by 3. Holmes and the Stolen Stones takes you through a mystery adventure as you search an old warehouse for missing shards that unlock five different local progressive jackpots. 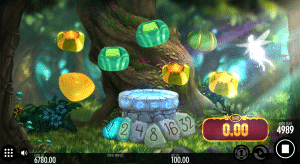 Collect five shards of the same colour to trigger 10 free spins with a 3x multiplier and earn a diamond for your collection. 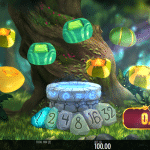 Once you collect five diamonds of the same colour, you win the corresponding jackpot. The size of each jackpot varies from one casino to the next because these are all local progressive jackpots. 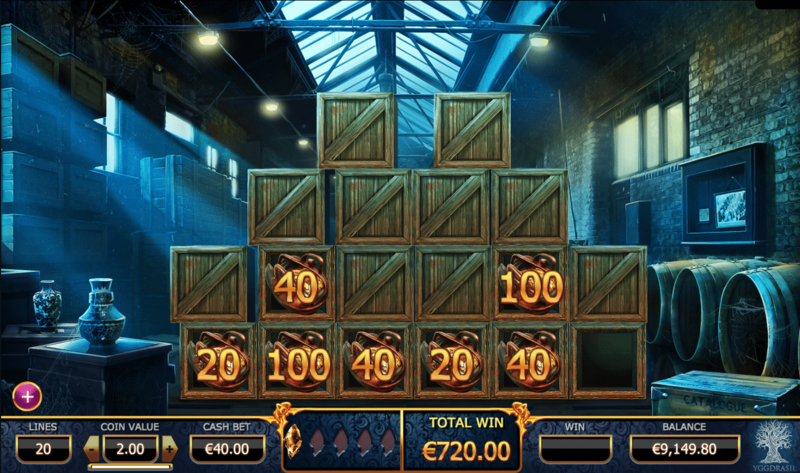 For reference, the jackpots at Betsson Casino at the time of this post were €108.30, €544.99, €1339.27, €3,945.66 and €21,447.92. 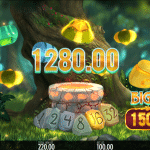 What makes this slot especially attractive is there are even more jackpots to be won without the shards. 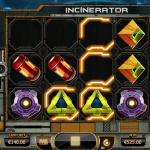 Three or more bonus symbols will trigger a bonus game in which you crack open boxes to reveal prizes and shards. 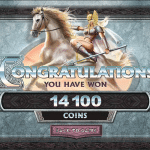 If you trigger the bonus game with four bonus symbols, you get a 100-coin jackpot while five bonus symbols will get you a 10,000-coin jackpot. 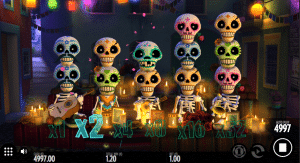 Three or more free spins symbols will give you 10 free spins with a 3x multiplier and up to 10,000 coins as an instant payout. 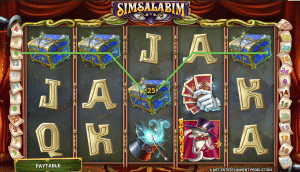 Three free spins symbols give you 10 free spins, four will get you 10 free spins + 1,000 coins and five will get you 10 free spins + 10,000 coins. 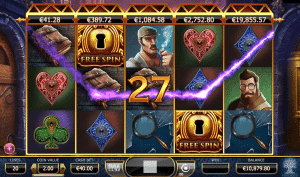 In summary, there are many ways to earn big payouts in Holmes and Stolen Stones. 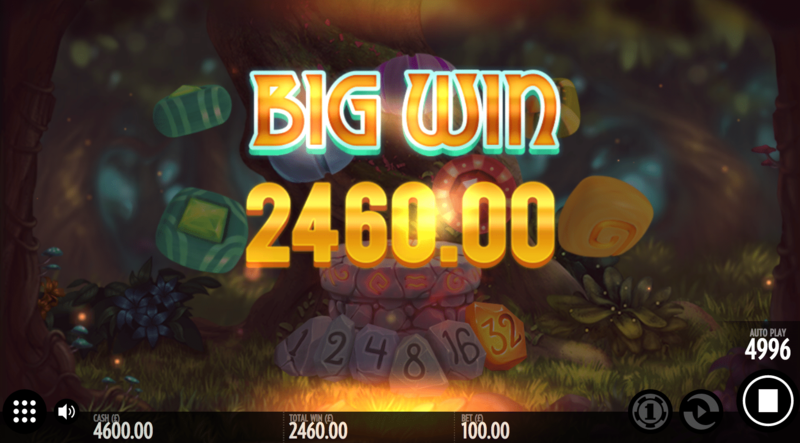 Yggdrasil gives this game a much lower volatility ranking relative to some of its other games, but it feels like a higher-volatility game when played due to 3.8% of all bets contributing to the local progressive jackpot. Although this does not technically lower the RTP rating, it does make Holmes and the Stolen Stones play like a slightly higher-variance game than its rating would indicate.